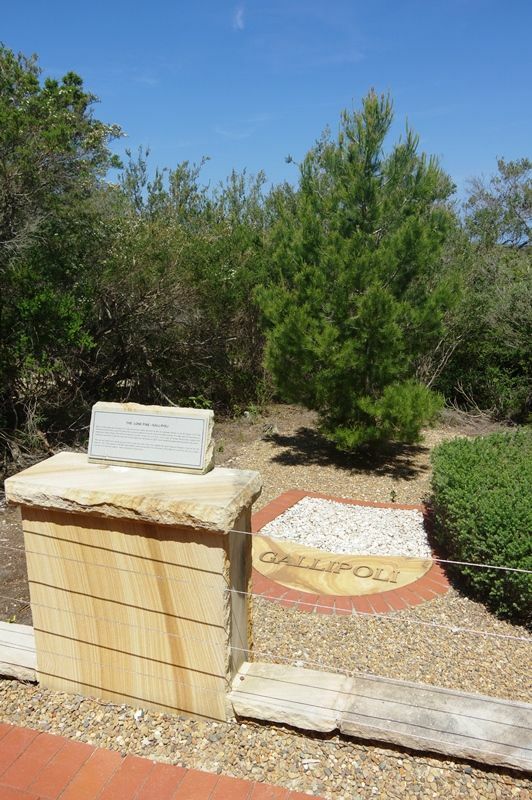 Lone Pine Tree and Memorial Stone commemorate the 91st anniversary of the Battle of Lone Pine. 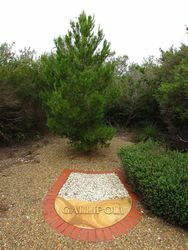 The tree which is a direct botanical descendant of the Gallipoli Lone Pine forms the centrepiece of the Gallipoli Memorial. 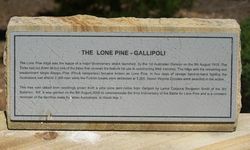 The Lone Pine ridge was the scene of a major diversionary attack launched by the 1st Australian Division on the 5th August 1915. The Turks had cut down all but one of the trees that covered the feature for use in constructing their trenches. The ridge with the remaining and predominate single Aleppo Pine (Pinus halepensis) became known as Lone Pine. In four days of savage hand-to-hand fighting the Australians lost almost 2,300 men while the Turkish losses were estimated at 5,000. Seven Victoria Crosses were awarded in the action. This tree was raised from seedlings grown from a pine cone sent home from Gallipoli by Lance Corporal Benjamin Smith of the 3rd Battalion. AIF. 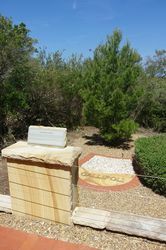 It was planted on the 6th August 2006 to commemorate the 91st anniversary of the Battle for Lone Pine and is a constant reminder of the sacrifice made by fellow Australians in World War 1.